Before the start of our meeting in Rome we called attention to the demographic changes, which are present at this General Congregation, emphasizing in particular the growth of members coming from the provinces of the global south. This growth, that primarily reflects the higher volume of vocations in Asia and Africa in recent years, has another interesting read, mainly the aging of the members of the Society of Jesus in regions such as Europe or the Americas. 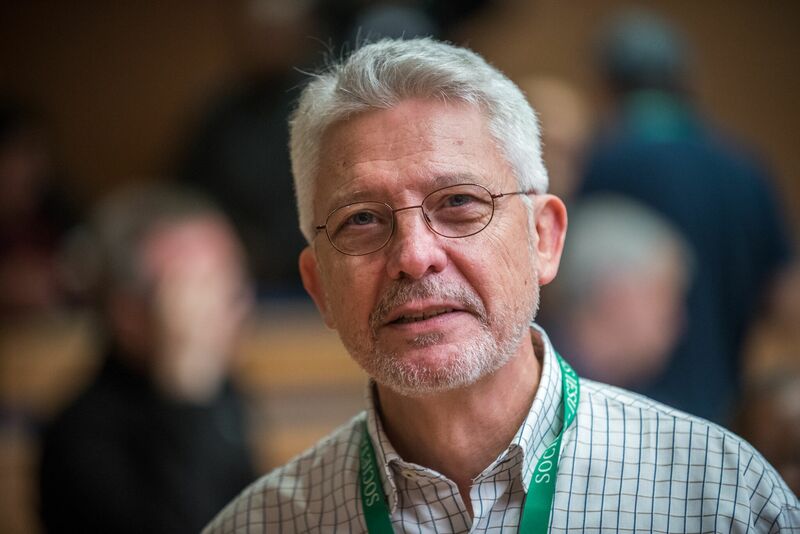 The continued increase of the average age of Jesuits in certain regions of the world sparks new questions for the Society of Jesus about the care for elderly Jesuits, as well as for the configuration of provinces and communities with growing numbers of elderly. There are provinces that have established new positions in the governance of the province for the care of older Jesuits. We have talked about the issue with Fr. Cipriano Díaz Marcos, SJ, delegate for the Elderly and Preparation in the province of Spain.